For some of us, flossing our teeth might feel like a chore that we just don’t want to do. For others, it might seem like a difficult task. Some people might find flossing to be painful. And still, others might feel it’s unnecessary. There are a lot of excuses that people give for not flossing their teeth everyday, but unfortunately according to Monrovia dentists like Dr. Q, those people are putting their oral health – and perhaps even their heart health – at risk. Why is it Important to Floss Everyday? The simple answer that your dentist will give you, as a reason to floss everyday, is that floss reaches areas of your teeth and gums that your toothbrush and even mouthwash doesn’t, and removes harmful dental plaque and food debris. But the longer answer is more complex. The truth is Monrovia dentists like Dr. Q know that flossing prevents a number of more serious conditions. First, flossing prevents gum disease, which is known as gingivitis. If your gums hurt or bleed when you floss, you shouldn’t stop flossing. It actually means you need to floss more often. 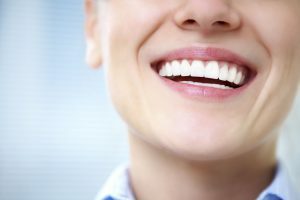 At your dental exam, your dentist may tell you that you have gingivitis, which makes flossing every day all the more important because untreated gingivitis can turn into periodontitis, which damages the alveolar bone – the bone which holds teeth in the jaw. So if you don’t floss daily like your Monrovia dentist recommends, you may actually risk developing periodontitis and losing teeth as a result. The second reason to floss we’ve already briefly mentioned – that flossing reaches areas that a toothbrush doesn’t. But did you know that the area that flossing reaches, the inter-proximal region that is between your two teeth, is a common area for tooth decay to begin? So by flossing daily like your Monrovia dentist recommends, you are protecting yourself against tooth decay and cavities. Third, you want to keep your breath smelling fresh and clean, right? Well, plaque build-up releases a bad smell in your mouth, called halitosis. And if your plaque builds up enough, it may cause tooth decay and gum disease, which makes your breath smell bad, too. Another reason to floss everyday is to prevent tartar build up. Tartar occurs when saliva from the mouth mixes with built-up plaque between your teeth. You can’t remove tartar by flossing; only regular trips to your Monrovia dentist office for a teeth cleanings can remove tartar. The next reason to floss daily is one that your Monrovia dentist is very concerned about – protecting your heart health. Have you ever noticed when you make a dentist appointment, you’re often asked if you have any heart condition? That’s because the mouth can be an entry point for harmful bacteria like streptococcus to gain access to your heart tissue. When bacteria enter the heart tissue, you can develop endocarditis, which is an inflammation of the heart. People with heart conditions should make an extra effort to floss daily, and always tell your Monrovia dentist if you have a heart condition when you are making an appointment. Finally, diabetics should floss daily to avoid gum disease. There’s evidence that shows that gum disease can aggravate diabetes. But gum disease can be entirely avoided by flossing daily! If you have diabetes, make sure you help keep it under control by flossing everyday. If you have trouble flossing, we’re here to help! Contract Monrovia dentist Dr. Q at (626) 599-9818 to schedule an appointment where we’ll teach you the most effective way to floss. It’s a very simple process that we can show you; that can prevent some serious health problems. At What Age Should I Take My Child to the Dentist for the First Time?